We’ve previously discussed the market for client web-2-print and the differences between selling print and web-2-print, particularly as the size and complexity of the system increases, say for a Franchise network. So what are the stages involved when pitching this type of system? How does selling web-2-print differ from selling print? 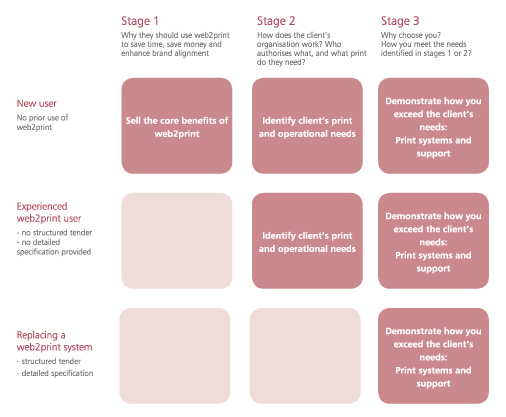 B2Client web-2-print motivation, what's in it for the client?